I was recently a part of the Global Leadership Summit that my church puts on every year. It is a wonderful conference that always stretches me in my leadership and inspires me to go change the world! After the conference ended, I went home that night and began to write out some dreams and ideas that had been churning in my soul. As many of you know, I recently did a fundraising campaign for ProjectWOW to help empower the next generation of women in worship. I always had an inkling that the project was going to expand into something much bigger than what I was planning, but I didn’t quite know what it would be or how it was going to happen. But after that conference, I started planning and dreaming through some possibilities. ProjectWOW started simply as a music project, but is now expanding to a much bigger story. 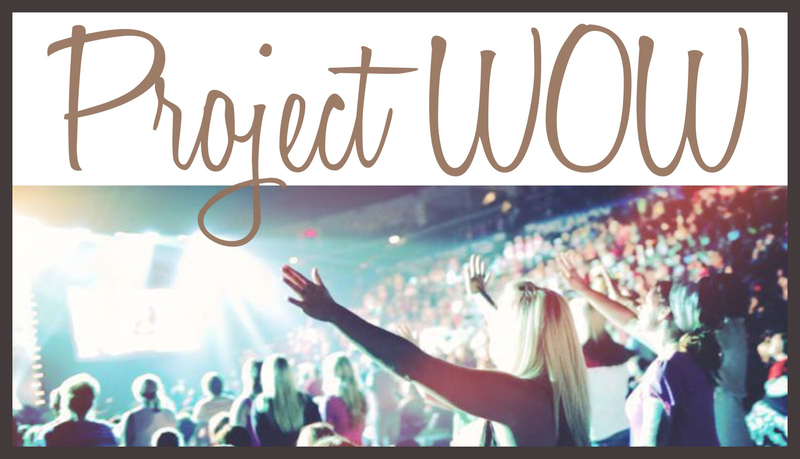 The new vision… ProjectWOW, or Project “women of worship”, exists to provide a place of conversation, community, and resource for women in worship. I have been thinking, praying, and planning through some ideas on how I can accomplish this “place” for women in worship. The more that ideas is solidified, the more urgency I feel about seeing this project come to a reality. I don’t want to give it all away yet, but know that I am working hard on this “place” and can’t wait to share more at the ProjectWOW Benefit Night. If you are in the Southern California area, please join us! At the ProjectWOW Benefit Event, not only will you hear more about this project, but you will enjoy a lovely dinner to the sounds of beautiful live acoustic music. FREE childcare will be offered to those with children 6 years and under. With every ticket purchased, you will automatically be entered to win one of our amazing raffle prizes. Thank you for your continued support as I try to create a healthy and thriving environment for female worship leaders/pastors in the church. You are all a blessing to me!